I love superheros with unconventional powers. I love underdog stories. I love how all these things are drastically different and more challenging in real life. I hate pharmaceutical companies who sell products that either cause the problem they're trying to fix, or come with seriously debilitating side effects. So leave it to bold-minded author S. G. Browne to combine all those elements into a memorable, funny, meaningful story about growing up and taking responsibility for your actions– and the direction of your life. Simple and to the point– what I love about Browne's covers. Convulsions. Nausea. Headaches. Sudden weight gain. For the pharmaceutical soldiers on the front lines of medical science—volunteers who test experimental drugs for cash—these common side effects are a small price to pay to defend your right to life, liberty, and the pursuit of antidepressants. Lloyd Prescott, thirty-year-old professional guinea pig and victim of his own inertia, is the first to notice the bizarre, seemingly implausible consequences of years of testing not-quite-legal drugs: his lips go numb, he becomes overwhelmed with exhaustion, and instantly a stranger crumples into a slumbering heap before him. Under cover of night, Lloyd and his guinea pig friends band together to project their debilitating side effects onto petty criminals who prey upon the innocent. When a horrible menace with powers eerily similar to their own threatens the city, only one force can stop this evil: the handful of brave men who routinely undergo clinical trials. 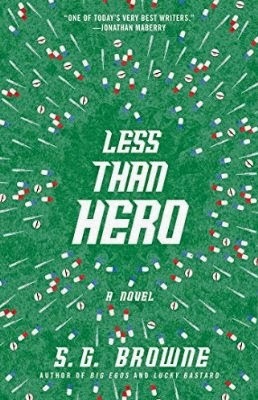 Less Than Hero is a dark comedy and social satire about superheroes and pharmaceutical drugs that fills the prescription for our over-medicated society. Citizens, rest assured tonight that no matter your ailment—anxiety, depression, super villains—there’s a pill to save the day. No doubt the synopsis has you interested. How could it not? Browne is a master of taking strange ideas and turning them into something utterly memorable. It's the reason I've been a fan of his for so long. When I first read the snippet of this new idea in his short story collection, Shooting Monkeys In A Barrel, I thought the idea was absolutely brilliant. Superheroes are becoming staples in pop culture (which you'll never hear me complain about), and more often than not, they're gifted with something terrifying or awe-inspiring. The group of misfits in Less Than Hero? Not so much. But do you want to be a punk or a thug crossing their paths? No. No, you do not. The story follows slacker Lloyd as he continues his life with no direction. A path he would have merrily continued on, were he not a pharmaceutical guinea pig who participated in a clinical trial that studied the effects of combining a series of drug at a time. Now, Lloyd has the ability to make anyone he wants to fall asleep by yawning at them. You can be forgiven for thinking my meager explanation is ridiculous and even a little silly. In some ways, it is. But the key element to the novel is the human element. No matter how crazy this novel may sound, it isn't all fun and games. Lloyd and his friends may be out there causing thieves, stalkers, and other unsavory types serious discomfort, but they're not invincible. They don't have super healing powers. And they have enemies who don't care who– or how– they hurt. Lloyd is an excellent character. Easy to relate to and understandable, even though he doesn't have direction in his life. He's a poster-child for the uninspired, which is ironic, because he inevitably becomes inspired to be something more than himself. As entertaining as it was to watch him engage in street vigilante justice against thugs and douche-bags, watching him grow as a person was far more compelling and truly the heart of the story. The ending was kind of left open to interpretation, or at least that's how I read it. The final chapter consists of literally one sentence, and I'm glad for that. I like thinking that everything worked out the way it was supposed to, not necessarily the way it actually did. Browne's signature style is easily recognizable, and fans of his will appreciate the nudges to one of his previous novels. 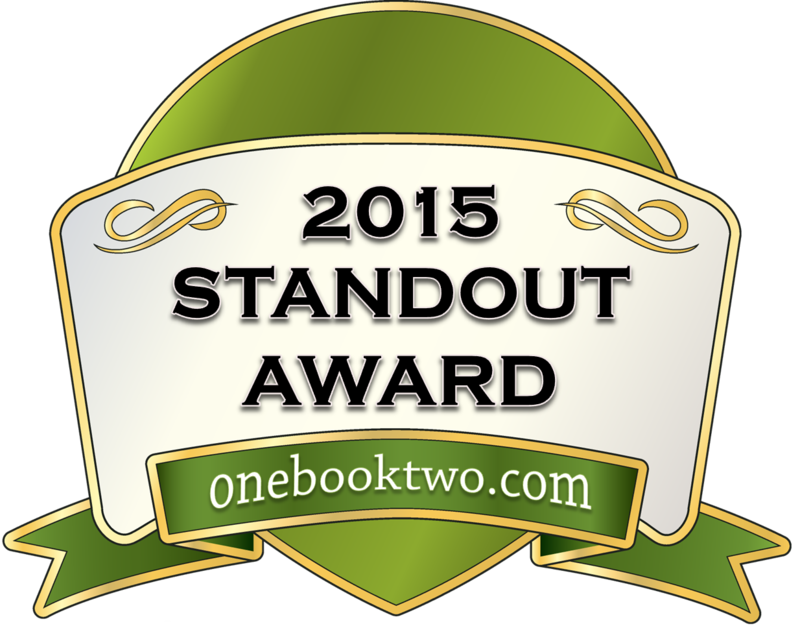 I was surprised by the supernatural addition, though it didn't really take me out of story. I was reading about chemically enhanced superheroes, after all. As with all of Browne's previous work, I didn't leave disappointed. He is an engaging writer who takes on bold challenges which remain relevant to today's society. The adventures of all his misfits are fun to read, but more importantly, their actions leave you wondering about the messages he's trying to convey. Should you really be taking a drug for depression when it can give you suicidal thoughts? Probably not. More than that, his main character proves that anyone can make a difference, even if it's a small one. Simple acts of kindness can change a person's outlook on the day, if not their life. As the book suggests– and I have to agree– you don't need to have superpowers to be a superhero.